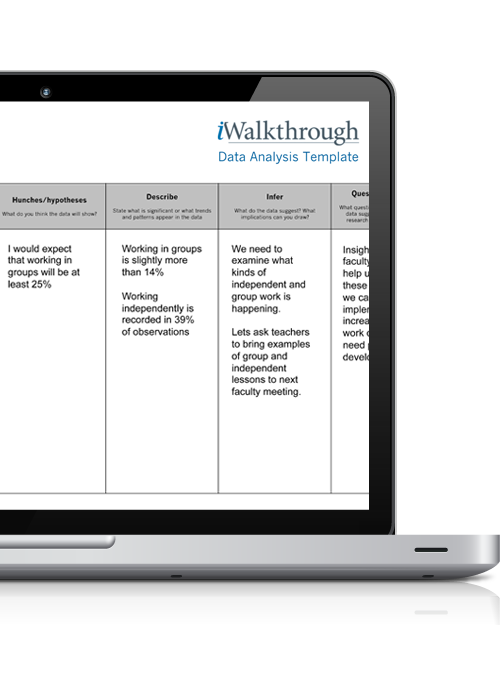 iWalkthrough Classroom Observation is a powerful yet efficient way for administrators and teachers to observe instructional strategies and interactions in their classrooms or other learning environments. 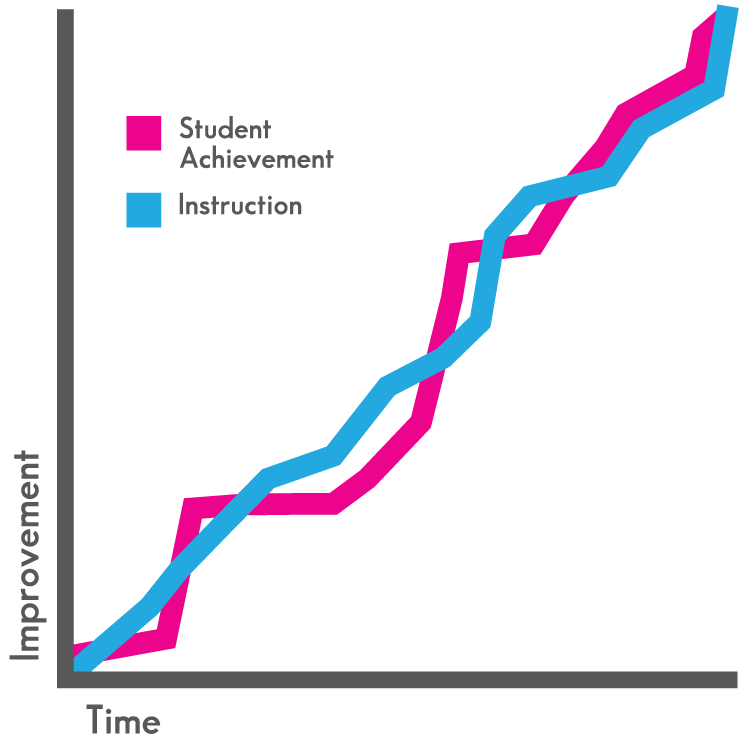 Although the process is simple, the data profile generated over time provides a wealth of information that schools can use to strengthen instruction and improve student outcomes. Using handheld digital devices, educators conduct brief, 3-5 minute, observations in classrooms or other learning environments that generate a comprehensive profile of teaching and learning in a school. 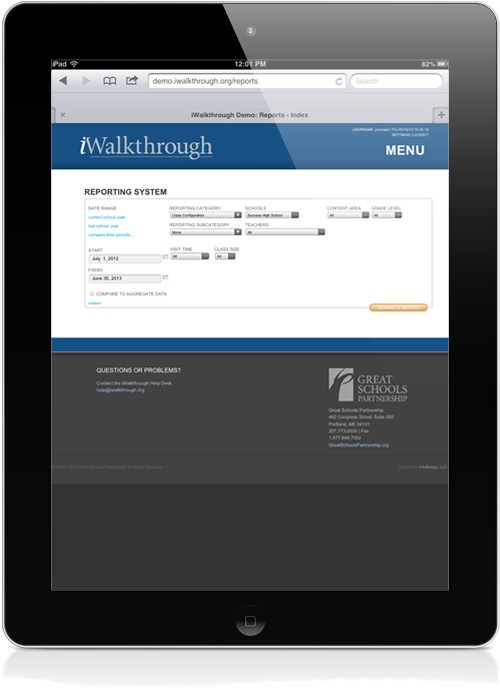 Generate thousands of report configurations, providing unprecedented insight into the instructional life of a school, revealing trends and issues that might have otherwise gone unnoticed. 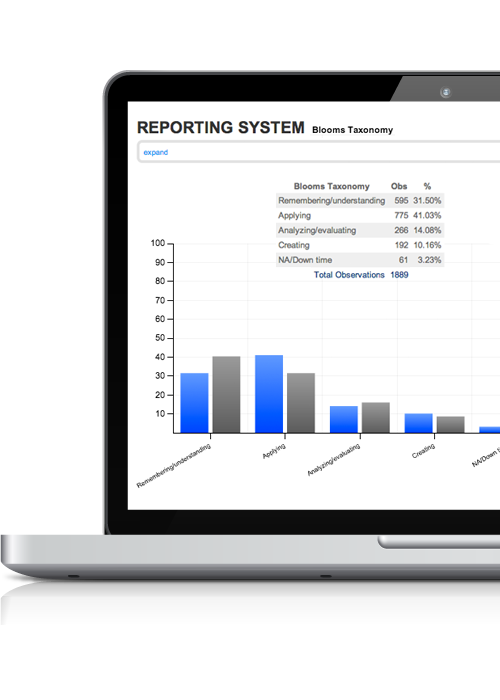 Users can compare observations made in their classrooms with data collected in their whole school, department, grade, as well as in thousands of similar classrooms across the country. Schools can use data to frame collegial dialogue and professional development. These meaningful, goal-driven conversations with colleagues ensure that a comprehensive profile of school-wide curricula, instruction, and assessment emerges over time. The detailed data profile helps educators develop a targeted instructional-improvement program based on first-hand observations, consistent data, and a common understanding of both teacher and student learning needs. Faculties regularly evaluate and reevaluate their progress creating a school culture focused on learning and improvement.